We can no longer fall back on the word luxury; it’s a collection of vowels and consonants that have lost meaning. In a world of fakery and pretense, the word authenticity holds the weight of a diamond in the palm of your hand. A recent report from Monotype named ‘Beyond Authenticity’ opens with the line ‘trust is at a premium in our dislocated world’. These two words, authenticity and trust, hold onto them -because one cannot exist without the other. Authenticity is the foundation on which true luxury is built. This is what consumers crave; the heart, the heritage, the honesty. But as the global market booms, and capitalism gallops ahead, the race to stay at the top has meant many luxury brands substituting style for authentic substance. We can no longer fall back on the word luxury; it’s a collection of vowels and consonants that have lost meaning. Anything can be luxury, even in dollar and dime stores you will find products declared as the luxury line, utilizing once coveted language about being gourmet or extra special. Consumers are completely desensitized to the word, they are jaded by a market that wraps itself in mysticism, and the constant pushing of an Instagram worthy life has left everyone feeling discolored, off key, and a little disappointed in the realities of life. How can luxury brands reclaim space in authenticity? How can we realign ourselves with rareness? How can we nurture a sensory reaction to our brand? Millennials and the Gen xers have been raised in a different world in comparison to the baby boomers. A mass of information is at their fingertips, the advent of social media has torn down the veil, and they no longer trust in the politicians that stand on stage or the big brand conglomerates behind the billboards. This sense of suspicion trickles down into everything, so much so that this new generation are quite adept at spotting falsehood and fakery – because it is an ever-present force in the world in which they were raised. A McCarthy Group study highlighted how deep this issue runs, citing that a terrifying 84% of millennials didn’t like traditional marketing techniques and most certainly didn’t trust it. Another in-depth study titled When Trust Falls Down highlights the obstacles that brands need to overcome, starting with the fact that there are no longer careful gatekeepers of content and news due to the rise in social media, and that the inability to separate lies from truth has led to a more cynical consumer. Not to mention the fact that the political landscape is so turbulent, and big businesses have been lumped in with the so-called establishment. These are the ones calling out dishonesty, unethical behavior and demanding to see the truth; whether you run the country or a famous fashion brand. These are the ones swapping out five-star all-inclusive stays for experiential adventures. Luxury has become commoditized, something synonymous with the idea of fakery. The audience of today and tomorrow are already seeking to separate from the crowd; to put themselves out there as a truly unique individual. One of a kind experiences become social currency for millennials. There is no doubt that this generation connect with their peers through online platforms and that they seek unique things to drive up their social ranking. This isn’t necessarily as fickle as it sounds; to roll our eyes at this is not understanding what sits beneath the surface – our most basic need for connection and recognition. But, now the baby boom is behind us and conformity is a word best left to the 1950’s, today’s consumers crave that connection without compromising what they consider to be their unique self. 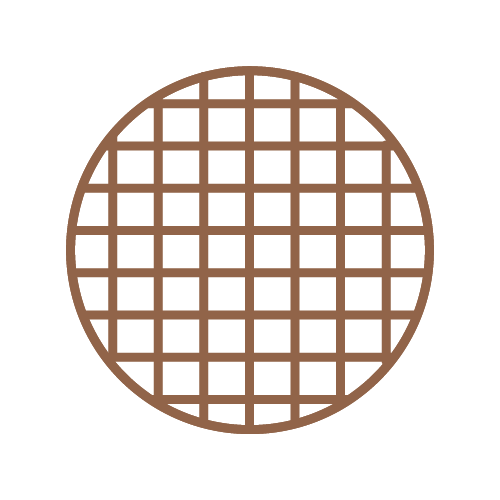 And they seek brands that mirror the same commitment – connection without conformity. Luxury must stay true to its individuality, finding inspiration in its story and history. A report from Stackla showed that a staggering 86 percent of consumers thought that authenticity was important to them when picking a brand. No industry does this matter more than within the lore of luxury. Luxury is a business built on the ideas of craftmanship, heart and heritage. People are paying high prices to be a part of these stories. And it’s our duty not to take advantage of that craving for a slither of truth and beautiful honesty in a turbulent and troubled world. When a luxury brand starts to put the chase for profit in the driving seat; many facets and colors run the risk of being lost. Brands must keep the higher purpose in mind when delivering their message. In an article for Forbes, Pamela N Danziger ran a comparison between Louis Vuitton and Hermes to see which brand held the most authentic label. She then goes on to point out the numbers; the many hundreds of places Louis Vuitton products can be bought, whereas Hermes in comparison takes a little more specialized research. She finishes by reminding us that authenticity in luxury must be earned and not a self-declared title. You can only inspire others when you are truly being yourself. Leave the lies behind. The deeper the root of authenticity, the more a brand has the chance to bloom in the luxury market. As mentioned, today’s consumers are adept in sniffing out a false story. The ability to capture true authenticity in your label and to communicate that through storytelling is nothing short of an art form. 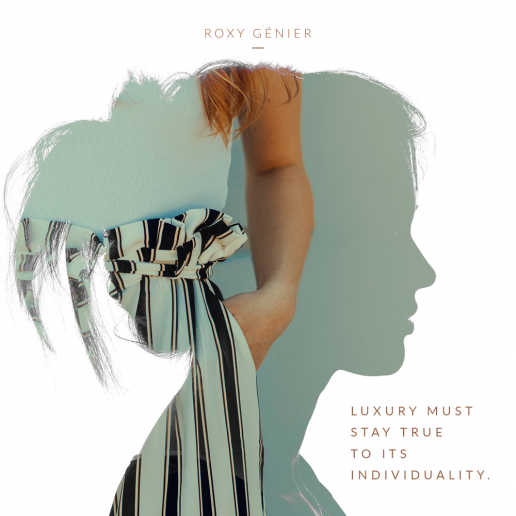 Luxury has long been wrapped in the mystique, the mythology of existing on a higher plain, and married to the wonder of whimsicality, but times are changing. Authentic storytelling in luxury means keeping an element of truth in your narrative and holding the bigger picture in mind. Some of the most successful and authentic brands of the digital heavy 21st century always keep their channels of communication clear. By conversing with their audience and keeping a foot firmly in reality, they connect with their loyal following in an open and honest manner. 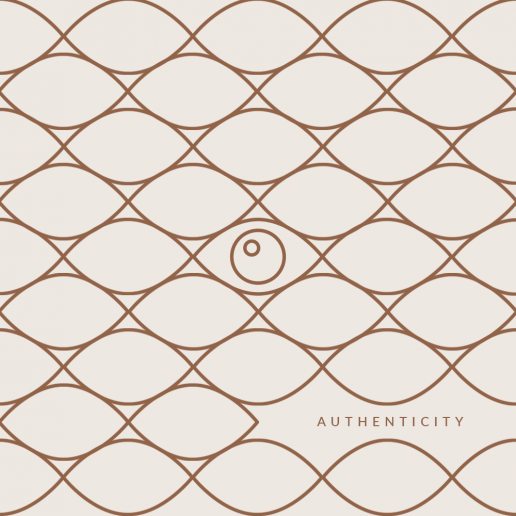 Authenticity is something that goes beyond the material; it seeps into every channel of our lives – from conversations to clothes, time planning and even the trips we take. When it comes to the world of luxury travel – it seems the market has been firmly rooted in the past. The narrative is often silver fox meets young pretty thing, together they hang on the back of superyachts and sip cocktails beside the pool. This has no meaning to the millennials, those who are looking to stay in chic Airbnb’s in Rio de Janeiro’s trendiest neighborhoods or to snap videos of themselves zip lining death canyons in deep Peru. Millennials don’t want to be jetsetters, they want to be pioneers. They seek travel brands that go beyond the whimsical promise of white billowy beds and private butlers; they want brands that can deliver on cultural connections, rare encounters, and pure authenticity. We are living in an era of the experience economy and this is where the travel industry can truly bloom and leave its mark. This article on What Millennial Travel Trends Can Teach us About Millennial Motivation points out that; Millennials aren’t fond of scripted endings. They want to write their own adventures. Relinquish some control over your product or service and let millennials bend it to fit their lives. Make it clear how your offering complements their independence and explorative nature. Don’t box them in with “solutions” but rather broaden the possibilities for discovery. Authentic storytelling in luxury means keeping an element of truth in your narrative and holding the bigger picture in mind. From local soap in the bathroom to local cuisine choices at breakfast, cultural tours with villagers and fishermen, and indigenous artwork on the walls. Delivering a slice of authenticity is easy – it just has to come from an honest place – a place of wanting to make a connection that matters. Authenticity isn’t a fad or fetish; this isn’t something that is going to fade with time. Nurturing true authenticity means allowing room for growth, being faithful to yourself, and following that thread of integrity that will lead us back to honesty. Most people’s dreams and business ideals come from a place of pure passion and honesty, the trick is tracing it back, tearing down the walls of false illusion and allowing you and your brand to be free. Authenticity is a New Luxury value. Now, let’s explore the next luxury anti-value.